Today on the Datanauts, we look at non-volatile memory express, or NVMe. NVMe SSDs are fast. As these drives go mainstream and make their way into enterprises and clouds at scale, what’s that mean for distributed storage networking? We play “move the bottleneck” on today’s Datanauts. Our guest is J Metz, a.k.a @drjmetz on Twitter. He’s Research & Development Engineer for Advanced Storage at Cisco Systems. He’s also been on previous episodes, including Datanauts 093: Erasure Coding And Distributed Storage. 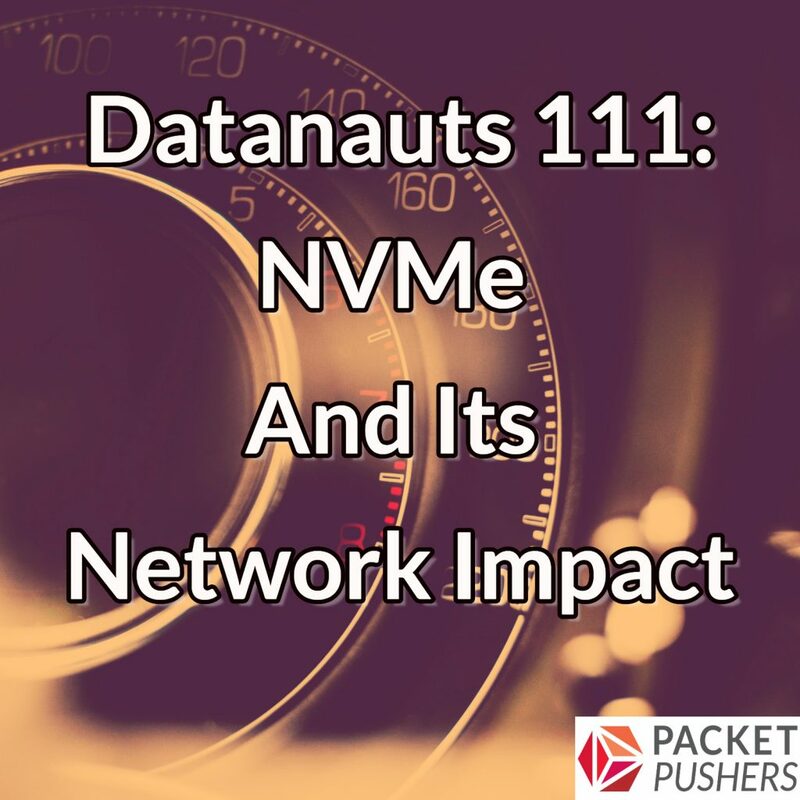 We discuss the basics of NVMe and how it works, look at its performance specs, and explore how this technology will impact the network and the design of distributed storage systems.